Hucklebear’s Den located in the Family Recreation Center offers a variety of children’s and family activities. See our schedule of activities available at the Activity Desk located in the Resort Center. 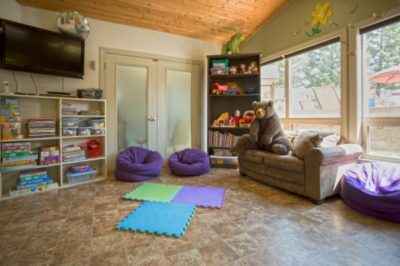 Families may enjoy board games, puzzles, books, arts and crafts at Hucklebear’s Den when scheduled classes are not in session. You may also enjoy our TV Room with Sony PlayStation and WII game systems. There are multiple Swimming Pools, Hot Tubs and Spas available at the Family Recreation Center. 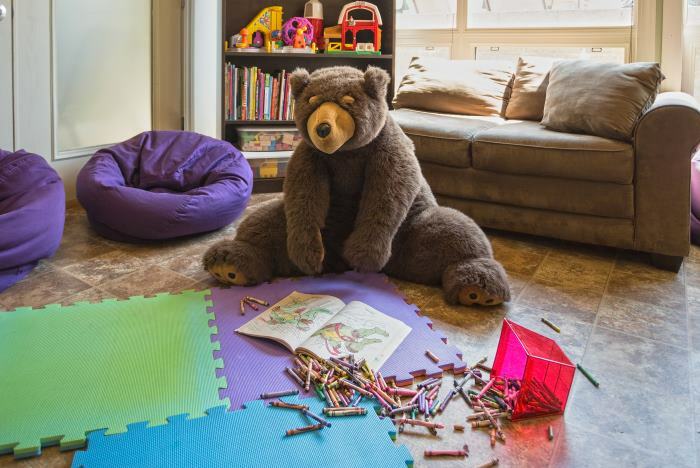 Year-round indoor heated pool, outdoor spa, heated swimming pool and Hucklebear’s Splash Zone for kids. Changing rooms, showers, and towels are available for your convenience. Hucklebear’s Hideout, the children’s playground located in Hucklebear Park is a great place to let the kids run wild. There is an abundant amount of open space to recreate and play games.